The graph from Figure 2, is rescaled into Figure 3 and Figure 4 above. The tangent lines of the saturation regions are shown. Theoretically, the x-intercepts should be the same, but the experimental values differs. So the average of the data is calculated. 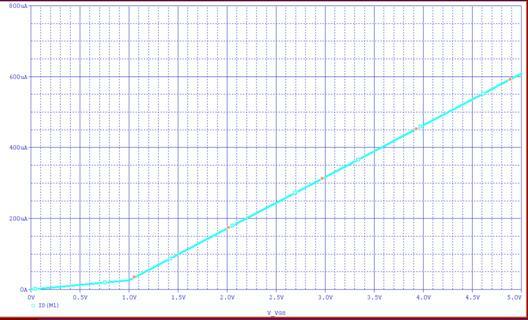 The expected Vd,sat is 2V when Vgs is 3V, and the measured Vd,sat is 1.7V. 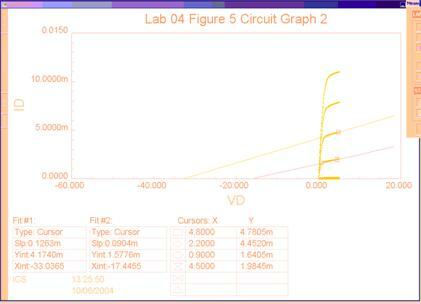 The expected Id,sat is 7mA for Vgs is 3V, and the measured Id,sat is 5mA. 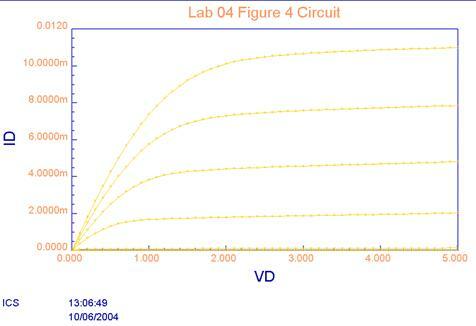 The shape of the Figure 2 is the shape of Id vs. Vds curve. 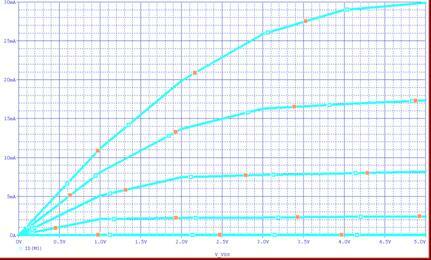 Both the expected and the measured curve are slightly upsloping in the saturation region. 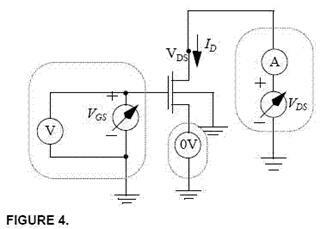 The printout is shown in Figure 2 to Figure 4. Vn is the x-intercept of Figure 5. Vn is the x-intercept of Figure 6. 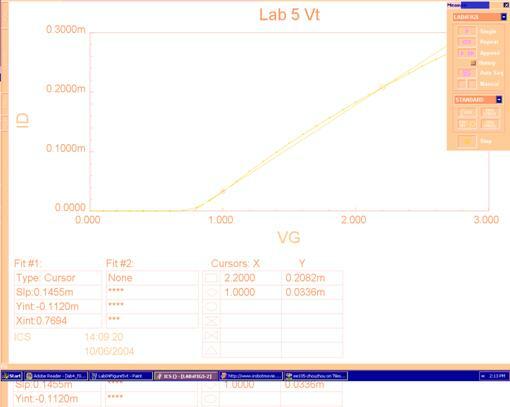 In this lab, the technique to extract basic parameters are learned. 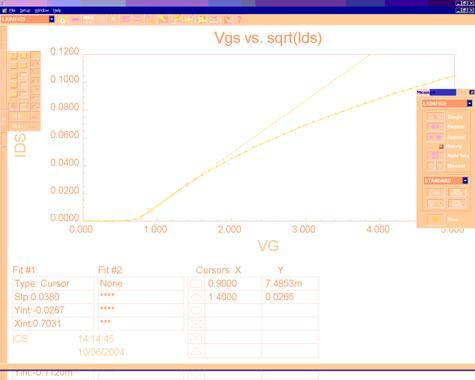 Determination of the state of the MOSFET by observing Vgs and Vds, using correct equations for different the region of operation are learned during the lab. One of the difficulties about the lab is the graphs are too rough to determine an exact value.